Not appointing Justice Joseph in the order of seniority as recommended by the collegium is a matter of serious concern. New Delhi: With reports indicating that Supreme Court judges are likely to meet Chief Justice of India Dipak Misra on Monday to protest against the Centre’s refusal to concede seniority to Justice K.M. 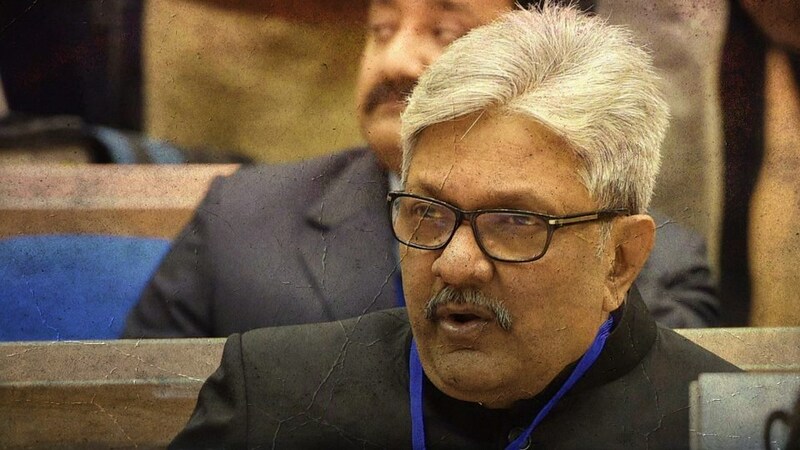 Joseph, chief justice of Uttarakhand high court who is likely to be sworn-in along with two others as a Supreme Court judge on Tuesday, time appears to be running out for the independence of judiciary. In the notification appointing them on Saturday, the Centre placed Justice Joseph at third place after Justice Indira Banerjee and Justice Vineet Saran, currently chief justices of Madras high court and Orissa high court respectively, who have also been elevated to the Supreme Court. The Centre’s excuse for doing so appears to be that it is simply following the convention of placing the judges in the order of seniority, according to their date of appointment as high court judges. Justice Joseph was appointed as a high court judge on October 14, 2004, whereas Justices Banerjee and Saran were appointed on February 5, 2002 and February 14, 2002 respectively. But the Supreme Court’s collegium has reasons to be concerned with the Centre’s unstated excuse for doing so. One, Justice Joseph was recommended by the collegium for elevation to the Supreme Court on January 10 this year. However, the Centre sat on the recommendation for several weeks before returning it for reconsideration, on grounds considered extraneous to the selection process. Meanwhile, the Centre, departing from convention and recognised norms, cleared the appointment of Justice Indu Malhotra, who was recommended by the collegium along with Justice Joseph, but as the second judge to be sworn-in to protect Justice Joseph’s seniority within the Supreme Court. The collegium unfortunately took its own time to reiterate its recommendation on Justice Joseph, and when it did, it preferred to do so by recommending two other chief justices of high courts for elevation as well, as if to answer the Centre’s grievance. That the Centre’s so-called grievance of imbalance in regional representation in the Supreme Court was bogus was obvious to everyone. At least two judges of the then collegium, Justice J. Chelameswar and Justice Kurian Joseph, sought the immediate reiteration of Justice Joseph’s recommendation to avoid giving the Centre an excuse for denying him seniority. Others sought the postponement of Justice Indu Malhotra swearing-in, so that the Centre was not allowed to split the collegium’s January 10 recommendation to deny Justice Joseph’s seniority. Unfortunately, both suggestions were rejected by the collegium and the court. And when the collegium did reiterate its recommendation of Justice Joseph, it did so with abundant caution. First, it said that the Centre did not record any adverse finding against Justice Joseph while returning the recommendation for reconsideration. Second, it reiterated its recommendation separately, without mixing it with the elevation of the other two justices to the Supreme Court, clearly indicating that in the order of seniority, it wanted Justice Joseph to be placed on the top. In retrospect, it appears the collegium should have left nothing to chance, and made its intention clear by stating the order of seniority expressly. When more than one judge is to be sworn-in on the same day, the order of judges being administered the oath indicates their seniority within the Supreme Court: the first over the second, the second over the third and so on. Seniority within the Supreme Court is important to determine who gets to preside over benches and who is likely to enter the collegium, and possibly succeed the chief justice of India, depending on their dates of retirement. Secondly, the order of seniority as recommended by the collegium is important and crucial for the independence of the judiciary. The collegium may consider a judge more suitable than others in the all-India seniority list of judges of high courts, despite his or her being a junior in that list. The collegium may consider such a judge of outstanding merit, and thereby consider that his or her tenure in the Supreme Court, with the possibility of succession as the CJI, in the interest of the institution. As the convention of appointing the senior-most puisne judge of the Supreme Court as the CJI, in the event of a vacancy occurring due to the retirement or resignation of the incumbent, continues, it is easy to predict who will be the CJI for the next six or seven years. Justice Joseph cannot hope to be appointed as the CJI, in view of his impending retirement on June 16, 2023. Justice D.Y. Chandrachud, who is likely to succeed Justice U.U. Lalit on November 8, 2022, will have a tenure of nearly two years till his retirement. Yet, the non-appointment of Justice Joseph in the order of seniority as recommended by the collegium is a matter of serious concern. It sets a bad precedent and may be cited as a valid one to follow by a future governments to deny a judge his or her seniority, and thereby deprive them the opportunity of becoming the CJI, enter the collegium or preside over benches. What, then, are the options before the Supreme Court? The judges of the Supreme Court, who are likely to impress upon the CJI to do the needful to protect its independence, have woken up belatedly to undo a perceived wrong by the executive. Their former colleague, Justice Chelameswar, had the foresight to warn them in vain of the consequences of inaction earlier. When the Centre directly interacted with the chief justice of the Karnataka high court to probe the complaints of sexual harassment against a district judge, recommended for elevation as a high court judge, Justice Chelameswar sought a full court hearing of this case by the Supreme Court, as it concerned the independence of the judiciary. Many judges of the Supreme Court had then cold-shouldered Justice Chelameswar, reluctant to come out of their cocoon. Justice Chelameswar stands vindicated about his concerns after his retirement. The Centre, it appears, will correct is misadventure only if there is a public expression of outrage within the judiciary. Issuing another notification today to ensure Justice Joseph’s seniority within the Supreme Court, on the other hand, could help to avoid serious confrontation with the judiciary, which it cannot afford at this juncture. The Supreme Court’s causelist for Tuesday confirms that the CJI will swear-in Justice Joseph as the third judge in the order of seniority, after Justices Banerjee and Saran take their oath. While Justice Banerjee will sit in Court No.1 with the CJI and Justice Chandrachud, Justice Saran will sit along with Justice Ranjan Gogoi and Justice Navin Sinha at Court No.2. Justice Joseph will sit at Court No.3 along with Justice Madan B. Lokur and Justice Deepak Gupta. The protest of senior judges of the Supreme Court over the Centre’s denial of seniority to Justice Joseph, conveyed to the CJI during the day, will most likely end as a damp squib.